On August 23rd 1996, Oasis played a set for MTV Unplugged at the Royal Festival Hall in London. Liam Gallagher didn't take part due to a bad throat, he watched the band from up in a balcony and heckled the band throughout the set. 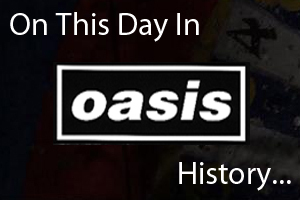 On August 23rd 2000, Oasis played at the Gijon Festival in Spain. Listen to the bootleg of the gig below.